Emergency pendant / bracelet panic buttons come in different styles: Pendants that you wear around the neck, bracelets that go on your wrist, buttons mounted near a door, emergency duress codes or buttons that are part of a security alarm system or remote control, actual buttons on a telephone, or soft buttons on a tablet. They are sometimes called Panic Buttons. When there is an emergency, such as a fall or serious illness, or when the user panics due to a possible burglary or a power outage, the button calls for help. Some emergency pendant devices are linked back to a central monitoring base, just like a home security alarm system. Some buttons are linked to the telephone base and simply call up to five relatives or friends until one of them answers and acknowledges. The problem: 80% of seniors who have been given an emergency pendant or bracelet do not WEAR them. The other problem: When the panic button is pressed, you don’t know what has happened. Is it a real emergency? How real? How urgent? Do we need to send an ambulance or fire truck, or should I call the neighbour? Have they fallen? Fallen ill? Or did they fall asleep in their chair? The solution: A Konnekt Videophone, with two-way video and two-way audio, that auto-answers. Look into the home, be seen, listen and talk – all at the same time. 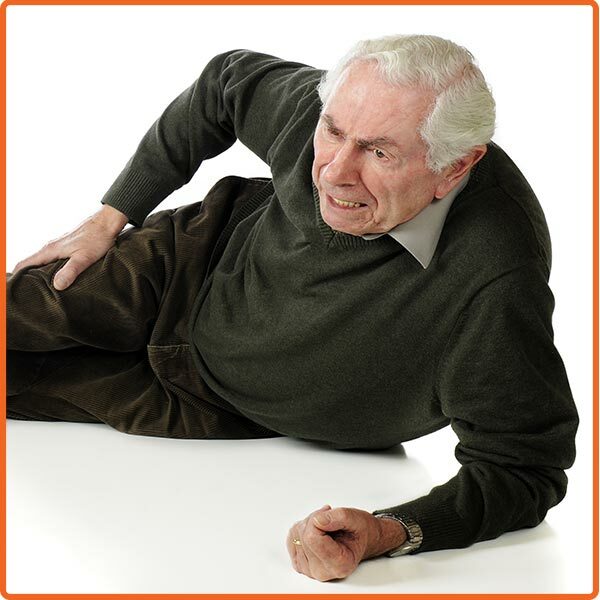 Research shows: Falls by older adults are one of the most grave and frequent accidents that lead to hospitalization. Konnekt Videophone features auto-answer, so that trusted family members that you nominate can “look into the home” if the elderly person you love does not answer your call. You can check in at any time using a simple app on your phone, tablet or computer. Unlike a webcam, it’s not intrusive because Videophone responds with full two-way video and two-way audio. They can see who is calling. They can reject the call, if they are busy or don’t want to talk. But if something is wrong, then you can immediately see what’s wrong, they can see you. You can comfort them. They can explain what’s wrong and you can tell them that help is on the way. Konnekt Videophone is the perfect companion to an emergency pendant or bracelet panic button. Konnekt Videophone is the perfect companion to an Emergency pendant / bracelet. Auto-answer option for nominated sons/daugthers. Look in fast.